Strong, intelligent, and devoted, the Yellow Labrador is a wonderful friend. These dogs are capable of endless play and hours of exercise. They are gentle yet energetic, making them the perfect family pet. 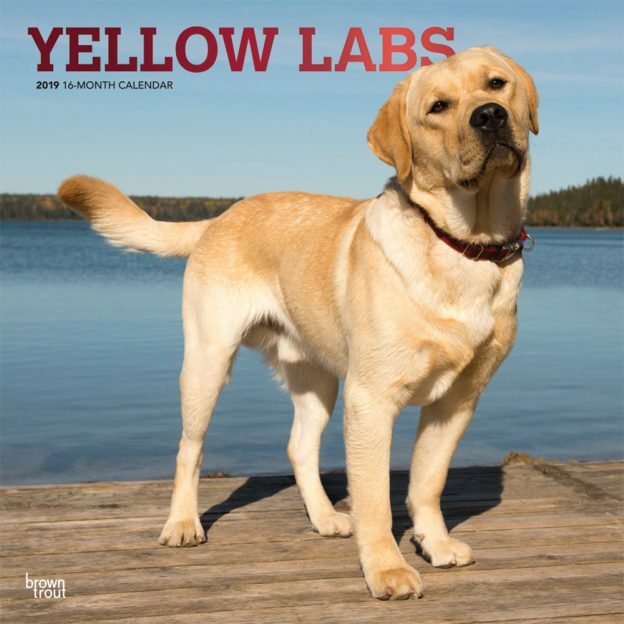 Celebrate this wonderful breed with this Yellow Labrador Retrievers square wall calendar. This calendar includes a free download of the DogDays™ app for the smartphone and tablet, which grants access to the world’s most captivating dog photos and backgrounds, fun puzzles, and a calendar featuring your favorite furry friends. This entry was posted in Calendar Showcase, Dog Breed on March 19, 2019 by dogdaysapp.